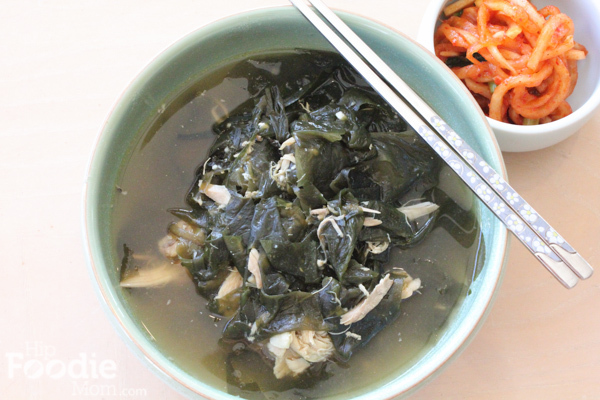 Korean seaweed soup. 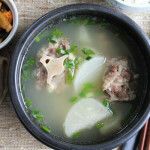 Most Korean girls eat miyukguk after they have a baby. This soup is not only extremely nutritious but, for women who just gave birth, this soup supposedly helps with your milk production. After the birth of my first daughter, my mom made me bowls and bowls of this stuff and I ate it all! 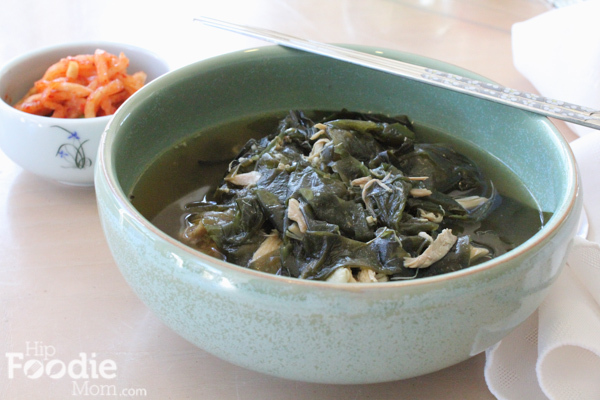 Personally, it did not help me in the milk production area . . but I just LOVE seaweed soup! And now I happily make this soup for my daughters, who also love it! 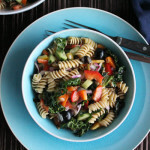 We also tend to eat/serve this soup more when people are sick or not feeling well. 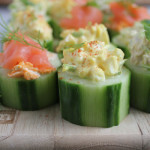 If the thought of eating seaweed grosses you out, look at what is wrapped around your sushi and come back to this recipe. 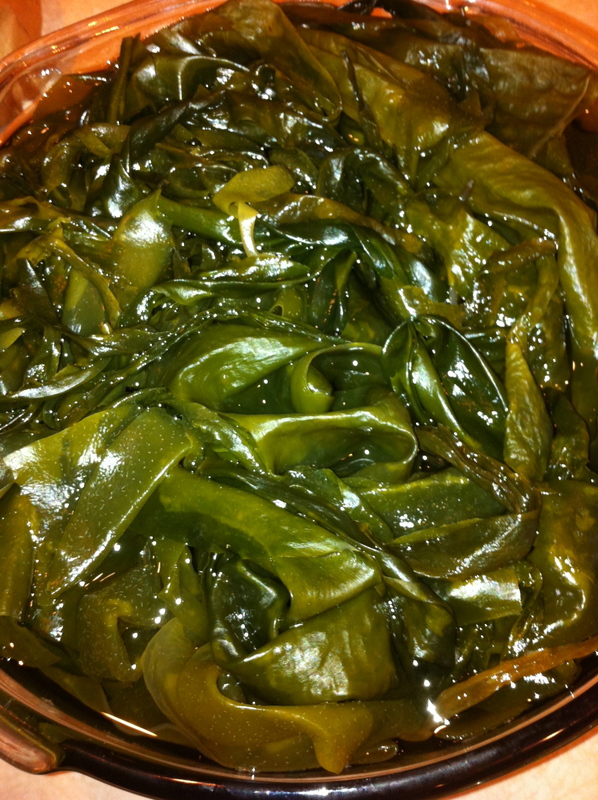 🙂 “Seaweeds are among the healthiest foods on the planet, packed with vitamins, minerals, and antioxidants. 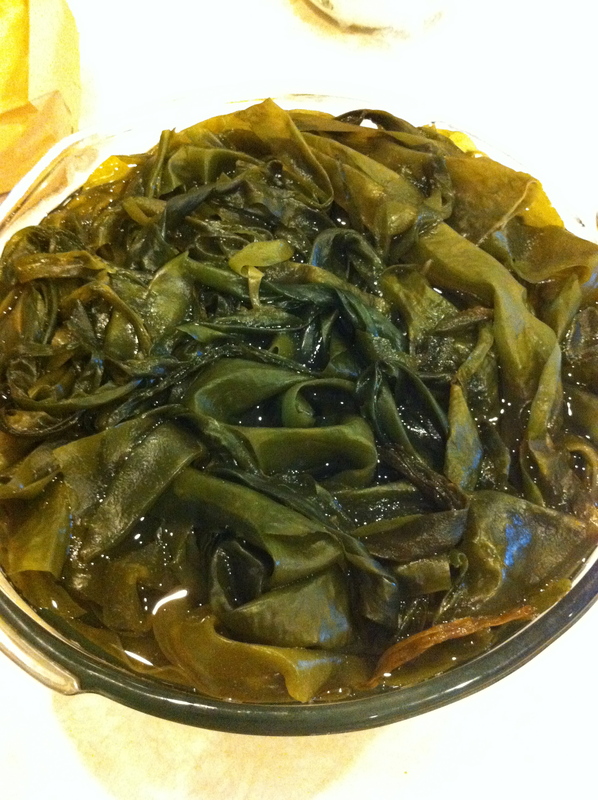 And recently Oprah tell us that seaweed is great for the waistline too! A 2010 study found the algae can reduce our rate of fat absorption by 75%, thanks to its inhibitory effect on a digestive enzyme called lipase.” Read more here. You can make this soup stock using beef, chicken or with seafood; some people like to make this soup with mussels. 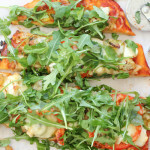 The recipe below is easy and uses an already cooked rotisserie chicken. 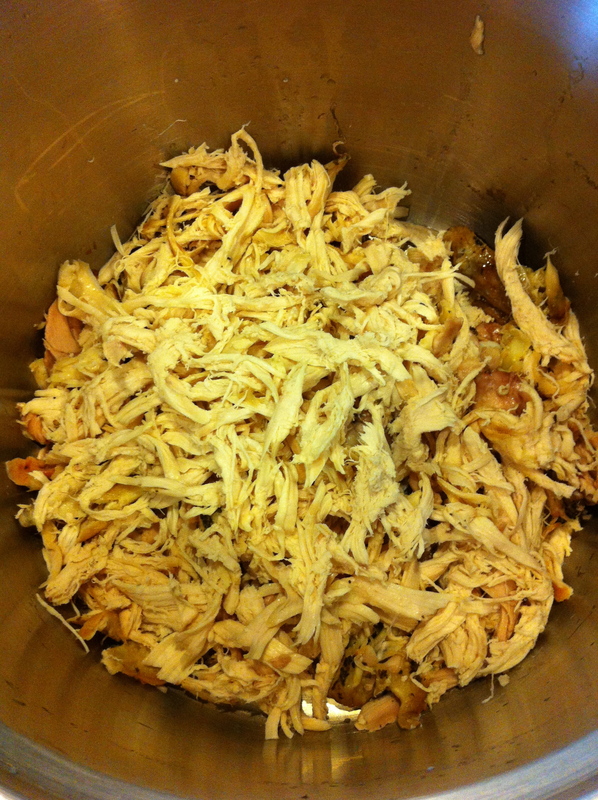 Using a rotisserie chicken (removing the skin) will create a soup with less fat, is really tasty and cooks in less time because the chicken is already cooked. 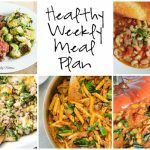 As you make this soup more and more, you’ll know how much of each ingredient to put in to your liking. 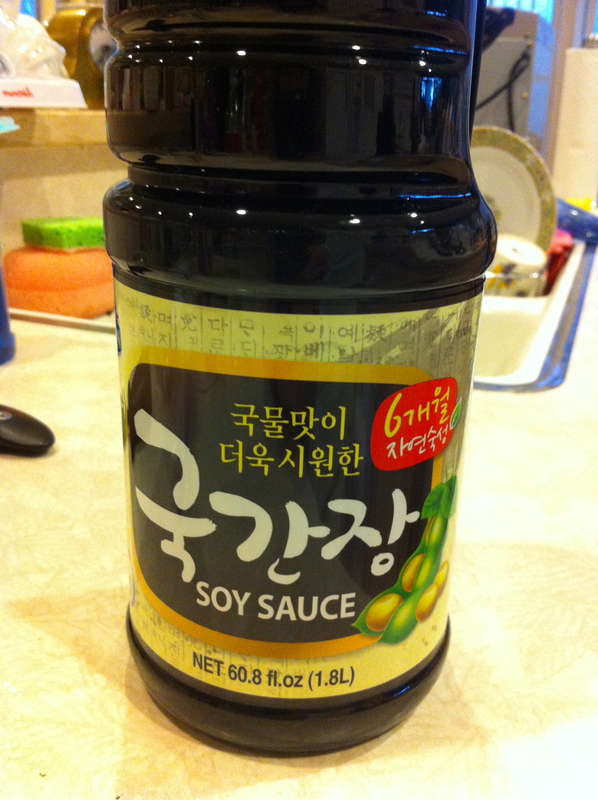 1-2 tablespoons soy sauce (to taste + more if needed later); try to buy the soy sauce that is meant for soups. It’s pictured below. 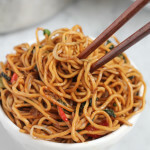 If you can’t find it, regular low sodium soy sauce is fine. 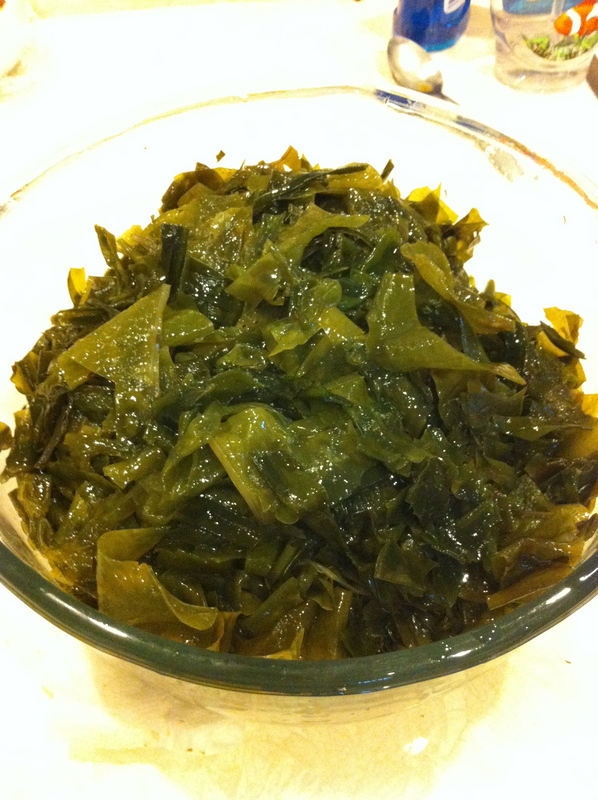 Soak seaweed in water (enough water to cover the seaweed) for at least 30 minutes. 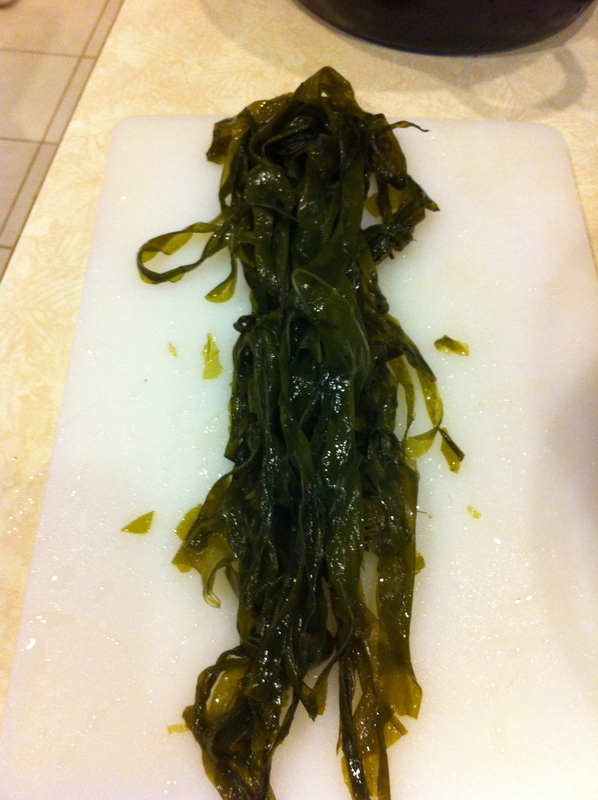 The longer you can soak the seaweed the better. I have soaked it for up to an hour beforehand. Soaking the seaweed loosens and softens it because you buy it dry. 2. 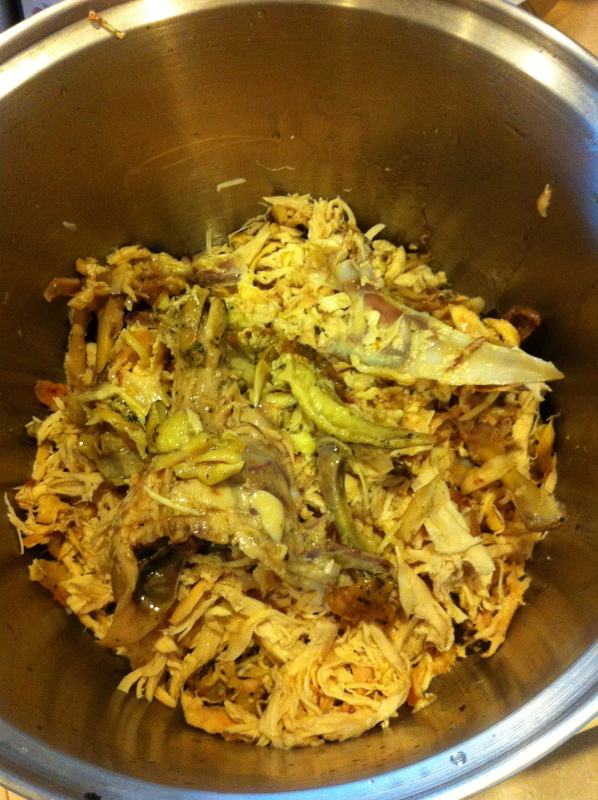 While you are soaking the seaweed, de-bone your rotisserie chicken, making the pieces as big or small as you want. Remove the skin and keep the bones (except the gizzard part) and those into the pot. 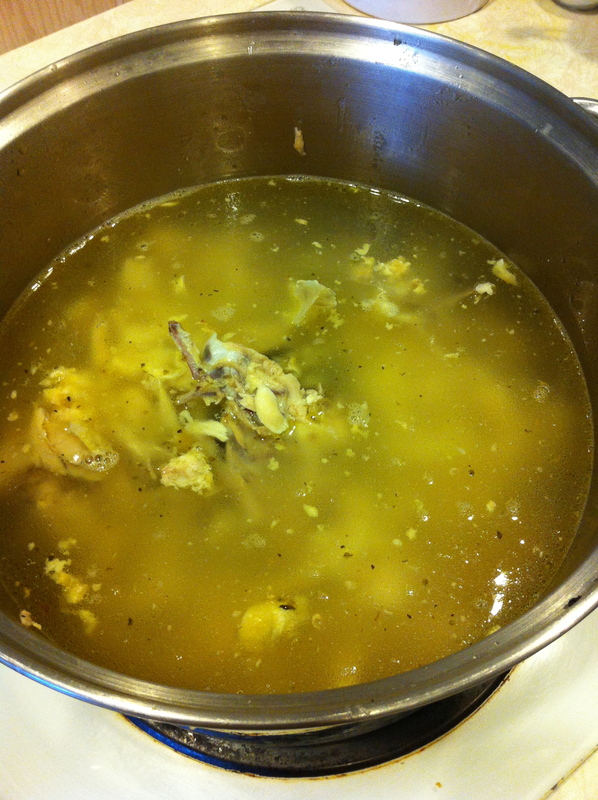 The bones will help create a nice chicken stock flavor. 3. 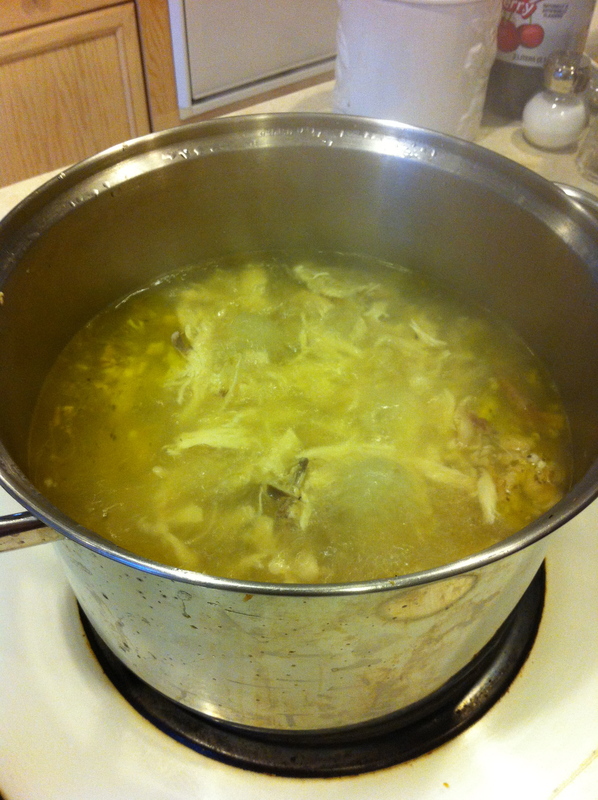 Place all the chicken (and bones) in a big pot and cover with water. Place on stove and bring to a boil. The longer you boil your chicken, the better. This is actually creating the soup. You can remove any fat that rises to the top but there should not be much at all. 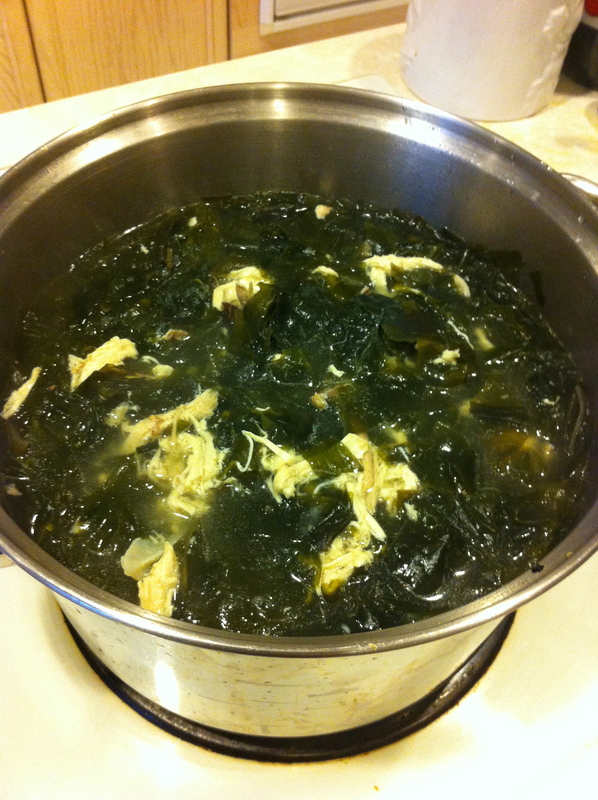 Boil the chicken for at least 30 minutes before you add the seaweed. 4. 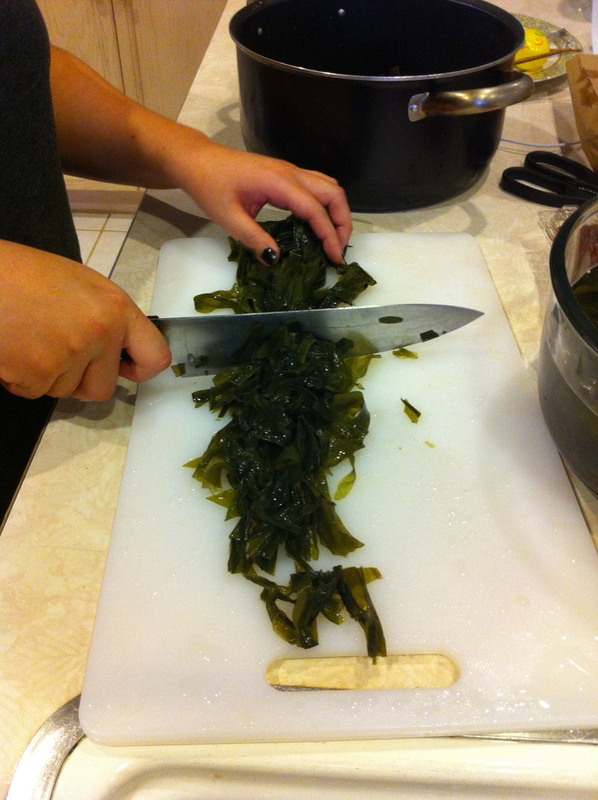 When the seaweed is soft, (or after at least 30 minutes) rinse, drain, and cut into 2 inch pieces. Some people like to squeeze the seaweed but this is not necessary. 5. 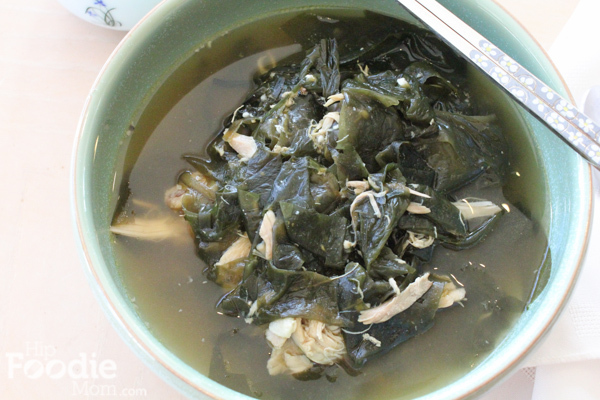 Stir in seaweed into the chicken soup and 1 tablespoon soy sauce; cook for 1 minute. Pour in 2 cups water, and bring to a boil. (Feel free to add more water if you think you need it). Stir in garlic, bring to a boil again, cover, and reduce heat. Simmer for at least 20 minutes. Season with salt and more soy sauce if needed. 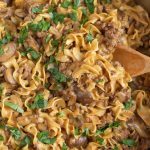 If you want to make this soup with beef, you will need 1/4 pound (or 1/2 pound depending on how much meat you want) of top sirloin beef, minced. Do this after you have soaked the seaweed: Heat a saucepan over medium heat; add beef, sesame oil, 1/2 tablespoon soy sauce, and a little salt, and cook for 1 minute. 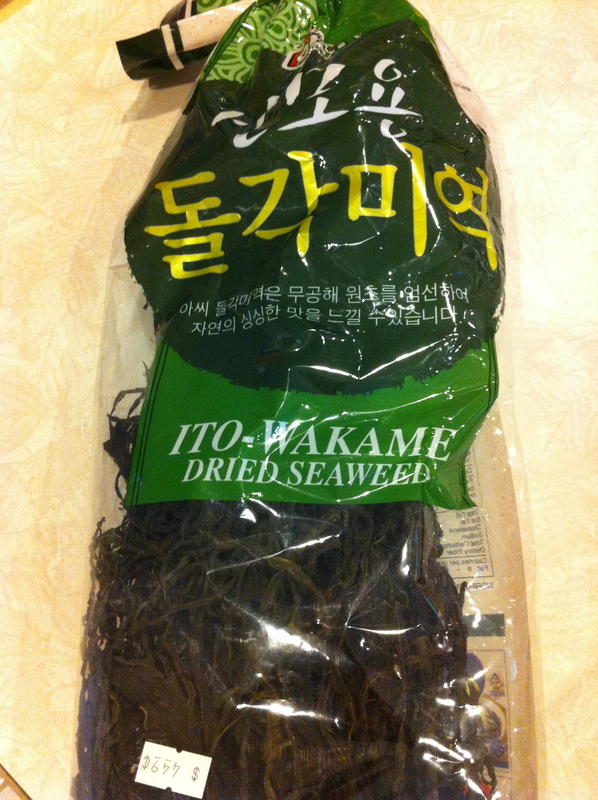 Stir in seaweed and remaining 1 tablespoon soy sauce; cook for 1 minute, stirring frequently. Pour in 2 cups water, and bring to a boil. (Feel free to add more water if you think you need it). Stir in garlic, bring to a boil again, cover, and reduce heat. Simmer for at least 20 minutes. Season with salt and more soy sauce. « How Bobbi Brown Helped Me . 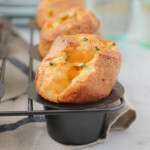 . .
There’s really nothing more comforting than homemade miyukguk, especially around the winter time! 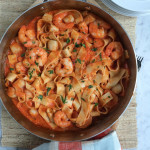 Thank you for your post which is very delicious, as i live alone, just wondering to cook a pot, can i keep the rest in the fridge? Will they last? Hi Cecilia! 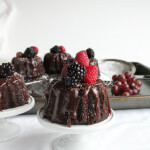 yes, you can refrigerate the leftovers, you can even freeze it! 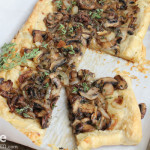 I would try to eat it all (if you refrigerate) within a couple of days. This is one of my Korean food faves! Hey!! how are you? 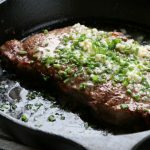 Yes, you can use stew beef or beef sirloin . . sear it first with a little sesame oil and then follow the recipe. . doing the same thing with the beef, in place of the chicken! let me know if you try this!